This post is the second in a series designed to teach the fundamentals of email marketing for nonprofits. 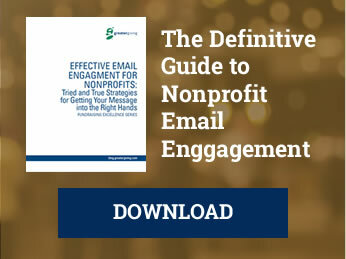 These posts are based on the Effective Email Engagement for Nonprofits: The definitive guide to better nonprofit email marketing. Each post focuses on an element of conducting an email marketing campaign, from crafting email to measuring recipient responses and adjusting your email approach accordingly. A solid and sustainable email marketing program isn’t one that costs you everything. Time is already limited in nonprofit work—whatever schedule you create, it shouldn’t be so time intensive that it gets in the way of your existing work. Before you dive headfirst into building your email marketing program and planning a strategy, decide how much bandwidth you and your team have available to expend. Consider what will go into the program, from the planning stages, to the time spent writing and editing and formatting, to analyzing email performance afterward. Don’t over promise. Especially at the beginning of a new journey or idea, we feel so inspired that the possibilities seem endless. But when you overextend, it’s easy to under perform—and that could be worse for an email program in the long term. Start small and scale up your operations as you learn the work that goes into running a successful email program. So how do you design an email marketing program that’s the right size and fit for your nonprofit? 1. Analyze your bandwidth. Be realistic about what time investment is possible for you and what’s not. How much time can you take away from your regular duties in a week? In a month? Give yourself room for error, and room to revise and rewrite. 2. How often can you send? Do an experiment and see how much time it takes to put together one email—finding a good story or interviewing a volunteer, supplementing that story with images or a video, then crafting your message and formatting your email to your satisfaction. Here’s a good rule to follow when trying to estimate how long something will take to complete: Calculate the investment involved in each task on the list, then double it. Once you’ve done that—double it again! It sounds silly, but you’ll find when you’re sitting in front of the computer and trying to get the email to look how you want, it takes longer than you think. But it will get easier the more you practice! Consider that as your program progresses, you’ll want to segment your email list into different groups as you learn how your recipients respond to your email. Some segments will require entirely different variations of the same email, or different emails completely—so the time commitment for each send may grow the farther along you go. Factor that into your available bandwidth going forward! TIP: Segmenting is the process of separating your recipients into lists, and then customizing the frequency, timing, and/or content that you send to each list. It’s a great way to keep recipients interested in your emails long term, and inspire the most action possible. Set out to do something manageable and reasonable from the outset, and you’ll find room to grow. It’s better to start out sending less frequently, and learn from your results and mistakes, then to bombard your supporters with poor emails and risk losing them early. If you successfully meet your goals for a few months, then try sending more frequently and see how it feels!